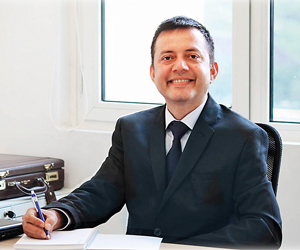 An alumnus of Indian Institute of Management (IIM) Ahmedabad and former IIM Lucknow professor, Himanshu Rai took over from Rishikesha T Krishnan as the new director of IIM Indore, on Dec 31, 2018. In an exclusive interview, Rai tells Education Times about his mission to establish IIM Indore as a contextually relevant business school with world class academic standards and a vision to create and disseminate knowledge that would produce responsible leaders. “At IIM Indore, we would bring in best international practices to have a global presence,” he adds. Speaking about the challenges that Indian B-schools face in contemporary times, Rai says, “Indian business schools face their biggest challenge of realigning content with industry requirements. New functions like big data analysis, design thinking, and new sectors like start-ups, family businesses and e-commerce can be redesigned only with strongly framed business education. IIM Indore plans to increase its engagement with the local businessmen in Indore and across Madhya Pradesh,” he adds. Interdisciplinary knowledge, says Rai, is becoming increasingly important and IIM Indore will partner with other disciplines to create unique programmes as well as learning centres to promote interdisciplinary research. Since, Indore happens to be the only city boasting of an IIM and an IIT, a natural partnership seems to be inevitable.